Hang in there Xperia S owners, ICS will be with you eventually! Sony has re-clarified its plans for the Ice Cream Sandwich update for its flagship Xperia S handset, now confirming the upgrade will arrive at the end of June. We reported earlier this month that Sony has confirmed on one of its forums that the ICS update would hit Xperia S handsets late May/early June, however this is no longer the case. In its most recent post, Sony now says: "Xperia S will get it (Ice Cream Sandwich) during the latter part of Q2." 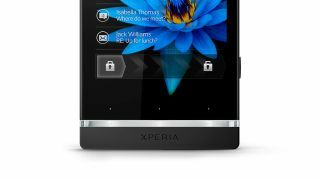 Sony has put the error down to a mix up: "the rest of the 2011 Xperias will get ICS during late May/early June. Which was the timing I mixed with the Xperia S timing". However this is going to come as little comfort to Xperia S owners, who have seen proposed April and May dates slip away from them, but hopefully Ice Cream Sandwich will be arriving at the end of June. We've contacted Sony to find out why the update cycle has taken so long for the Xperia S and we'll update this article once we get a response.